Bringing to the community choral music from masterworks to local traditions. The community certainly is feeling the hype about our upcoming concert on May 19th! 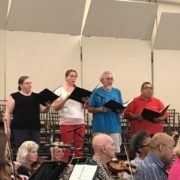 Grateful for this article published in West Hawaii Today’s Big Island Entertainment Scene, KCS brings Mozart’s Requiem to the stage (published May 10, 2018). Tickets are selling fast, you won’t want to miss it! 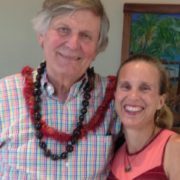 By Hadley Catalano Special to West Hawaii Today | Thursday, May 10, 2018, 12:05 a.m.
To witness choral craftsmanship and prestige at the highest levels is a rare opportunity, but this spring, the Kona Choral Society will provide this incomparable chance for music enthusiasts. 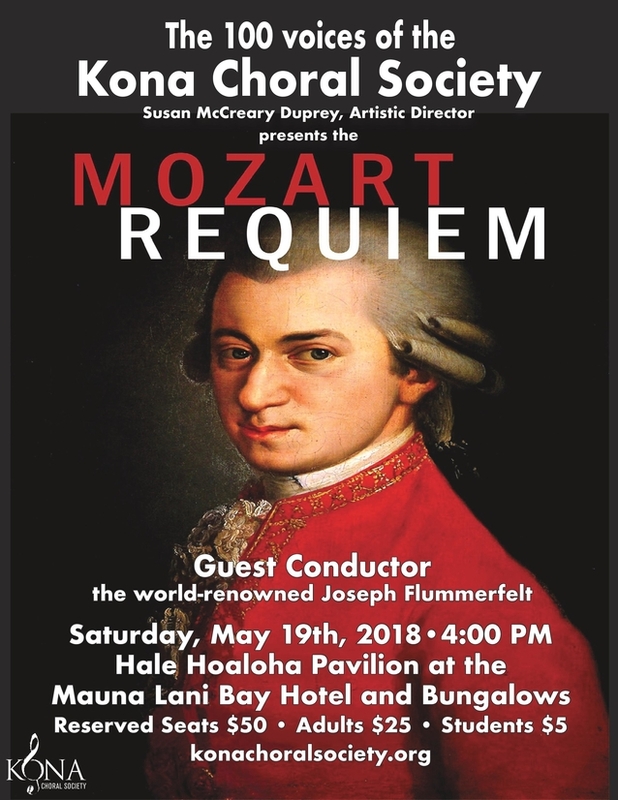 Under the baton of world-renowned guest choral conductor Joseph Flummerfelt, KCS will bring the mysterious and moving Mozart’s Requiem to the stage at 4 p.m. on Saturday, May 19 at the Hale Hoaloha at the Mauna Lani Bay Hotel and Bungalows.The partnership between KCS artistic director Susan McCreary Duprey and Flummerfelt will bridge a generational mentorship, one that Duprey described as a musically fulfilling experience, for both her and her chorus. As a previous student who studied and sang under Flummerfelt at Westminster Choir College’s from 1993-1997, Duprey is excited to bring and share the famed conductor’s inspiring musical pedagogy with her own chorus. “I want our singers to experience what it’s like to sing under a master conductor. He is an extraordinary musician. 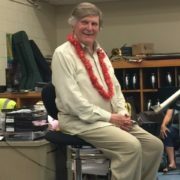 I sang under his baton with the Westminster Symphonic Choir and the prestigious Westminster Choir, five days a week ­— and he was my teacher in my graduate classes,” Duprey said of the 82-year-old Flummerfelt. 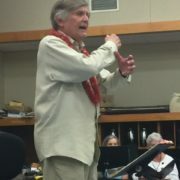 This will not be Flummerfelt’s first conducting experience in the islands, as he has performed on Oahu many years ago. 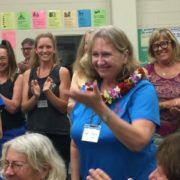 However, it will be the conductor’s inaugural visit on the Big Island of Hawaii as Duprey felt the opportunity was right to extend an invitation to Flummerfelt, feeling her chorus had reached a substantial size, now over 100 members, in which the full range of voices could take on the well-known and vocally challenging masterpiece. The Requiem, a standard for any choral repertoire, has a unique history. Commissioned in 1791 by an Austrian count, Mozart passed away midway through, before his magnum opus could be completed. Following his death, Mozart’s understudy, Franz Xaver Süssmayr, finished the hour-long score for the count. At the request of Mozart’s grieving wife, it was performed two years later in a private concert. 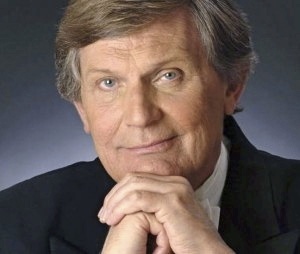 Due to the intense and sensitive nature of the masterwork, coupled with their incoming guest conductor, Duprey has been vigorously preparing the chorus for the dynamic performance. 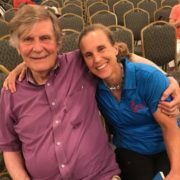 Using marked score notes she received back from Flummerfelt; Duprey has been training her group using his dictations and her personal knowledge of his individual style. Requiem, requiring a full mixed chorus, includes four local vocal soloists, and KCS will feature soprano Amy Mills, mezzo Wendy Buzby, tenor Bernaldo Evangelista, and bass Dan Garrett. 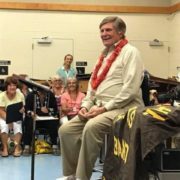 Joining the 100-member ensemble, will be a 30-member orchestra, with Big Island, O`ahu and Kauai instrumentalists on bassoons, trumpets, trombones, timpani, organ, and strings. 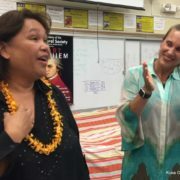 The concert will open with a pule or blessing from Ka’anohi Aipa, and in addition to Mozart’s final composition, the KCS will be singing a piece of welcome to Flummerfelt, titled “Na Ke Akua `oe e kia`i.” Duprey’s father, noted organist and composer, John S. McCreary, penned the composition, meaning, “God will take care of you.” The opening song has special significance, as Flummerfelt and McCreary knew each other and held each other in high regard, and this year marks the fifth anniversary of McCreary’s passing. You can view more information about our upcoming concert here. Thank you for supporting our mission to bring choral music to the community. Amazon donates 0.5% of the purchase price to Kona Choral Society Inc. whenever you shop with Amazon Smile. Bookmark the link below and support us every time you shop. 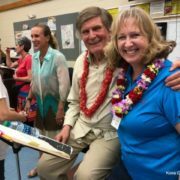 Copyright © 2019 Kona Choral Society.